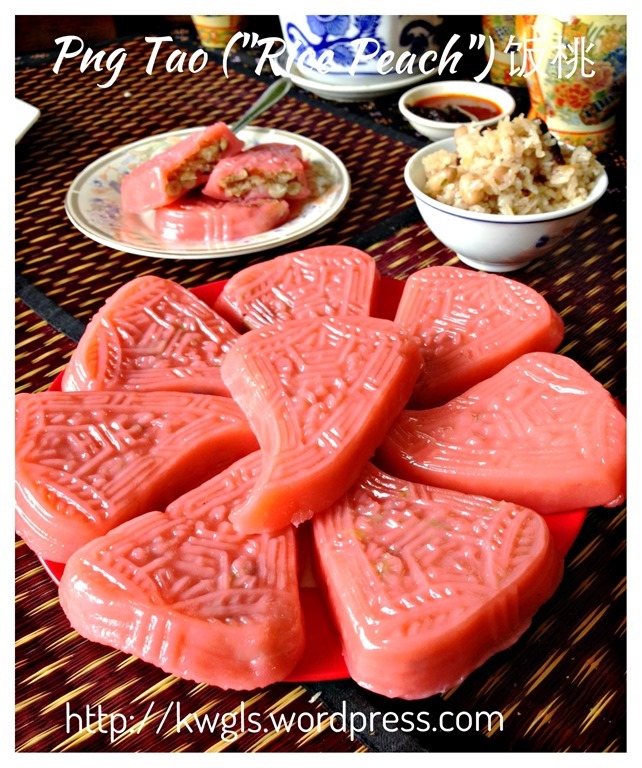 This is a Teochew kuih that I knew since i was young. 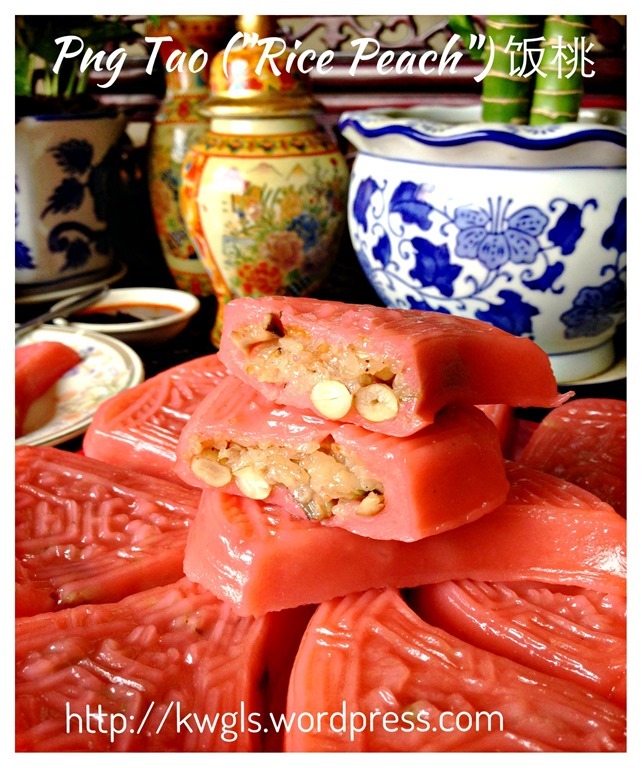 It was a common item sold in the market hawker stalls. 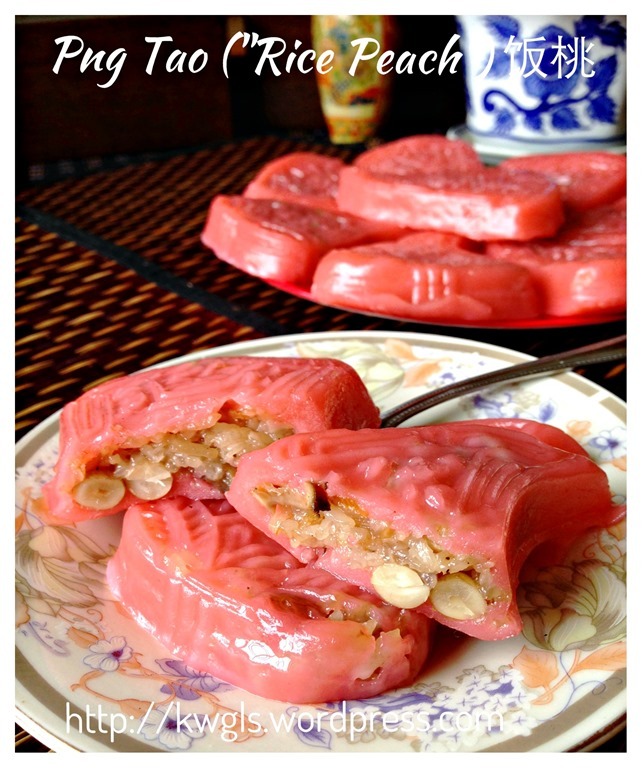 In fact, during my childhood times, the name is called Bee Bao Bee, meaning, rice wrapped by rice, since it is some glutinous rice that were wrapped by some rice flour dough. Very frankly speaking, then I have never know how to appreciate this rice cake. It is not until rather recently when I settled in Singapore that I started to love the cake. In Singapore, it is usually pan fried, and served with sweet dark soya sauce and chilli sambal. In addition, the fillings have some peanuts that I am looking for. 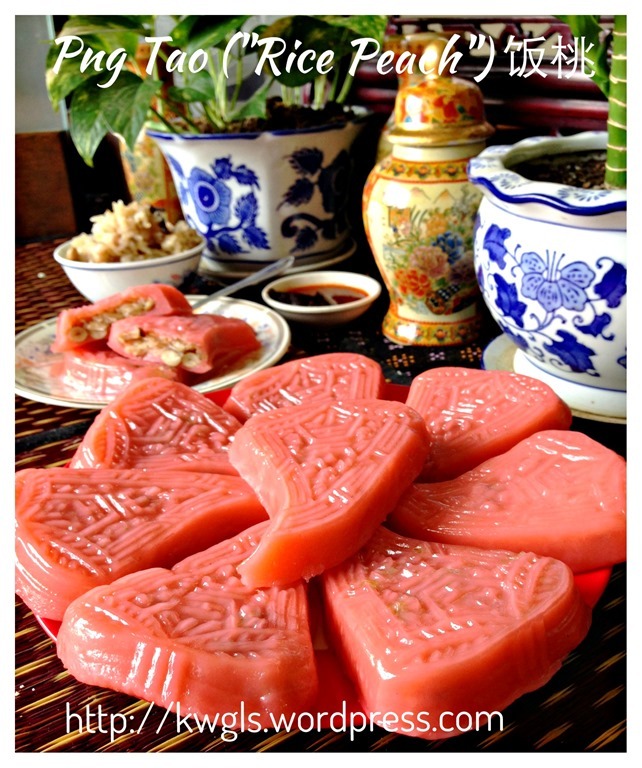 The name of the kuih in Singapore is called “Png Tao” or translated literally as “rice peach” because the shape of the rice cake is prepared using a peach mould. It can either in pink or white . For this illustration, the colour of the kuih is not exactly the right shade of colour. It should be pinkish. As I do not have any other colouring, I just use the only cherry red colouring that I have for this illustration. 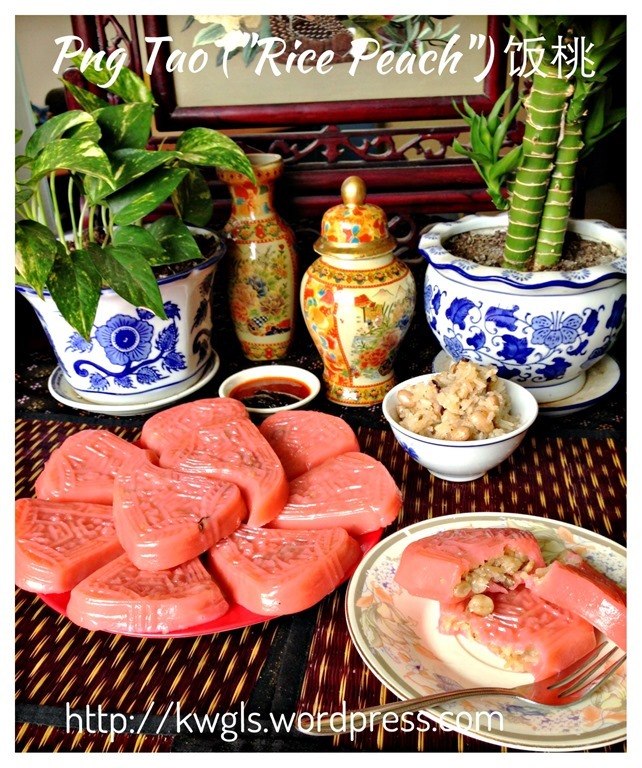 I am pleased with the kuih in general though I have hope that the skin is slightly softer. However, re-steaming the cake will make the skin soft again. The filling is my own recipe and sorry for not being humble, I loved the fillings. My skin is rather thick due to my inexperience in wrapping the cake. After this exercise, I believed I can shape better in my next attempt. One peach mould. 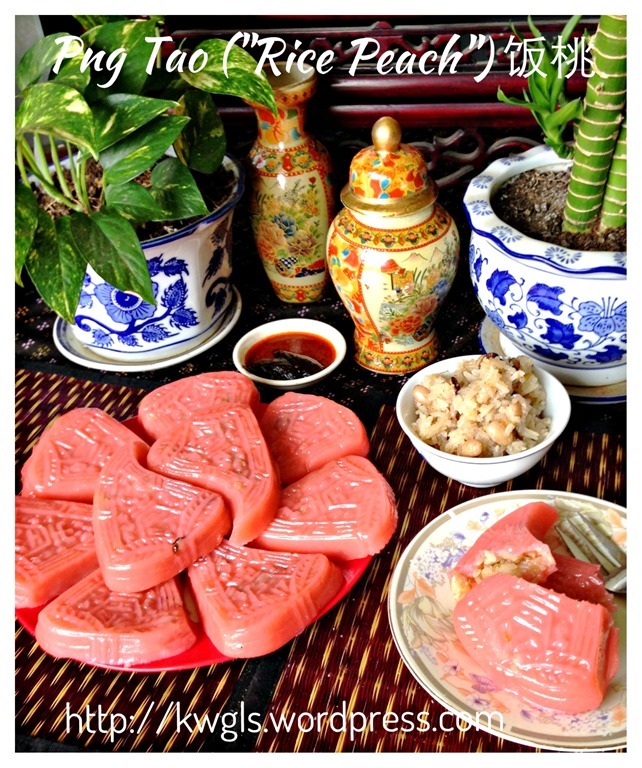 You can easily get the peach mould in most bakery shop. 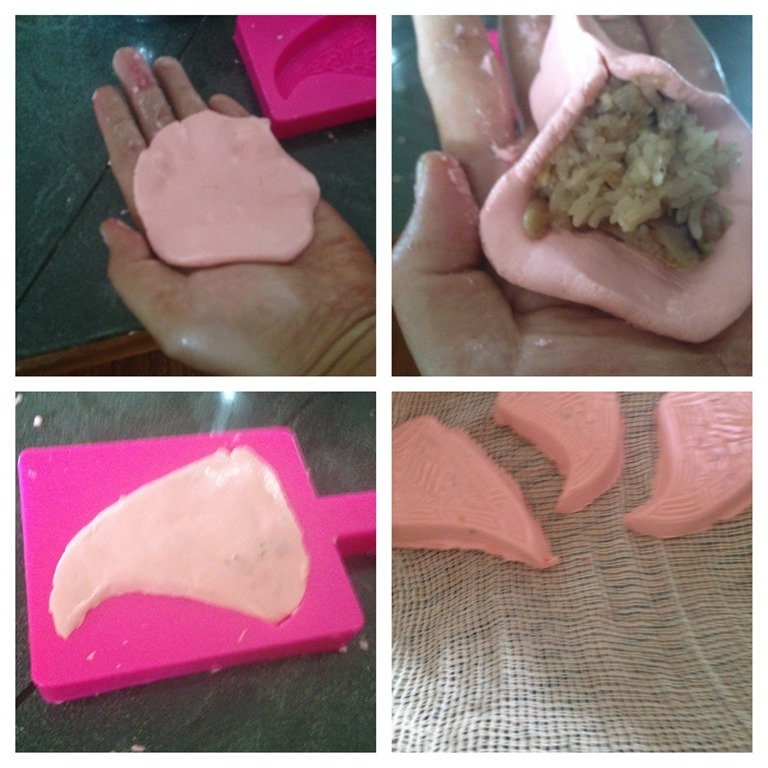 Plastic peach mould cost about S$2-3 depending on the size. * For even softer texture, you can add in some sweet potatoes puree or yam puree to the dough and reduce the quantity from the rice flour. For example, you can add 50 grams of sweet potatoes puree and the rice flour required will be 100 grams only. In a frying pan, put the cooking oil, sauté the garlic and shallots until fragrant. Add in the dry shrimps or baby shrimps and sliced mushrooms. Stir fry for 2-3 minutes until the mushrooms slightly dries up. 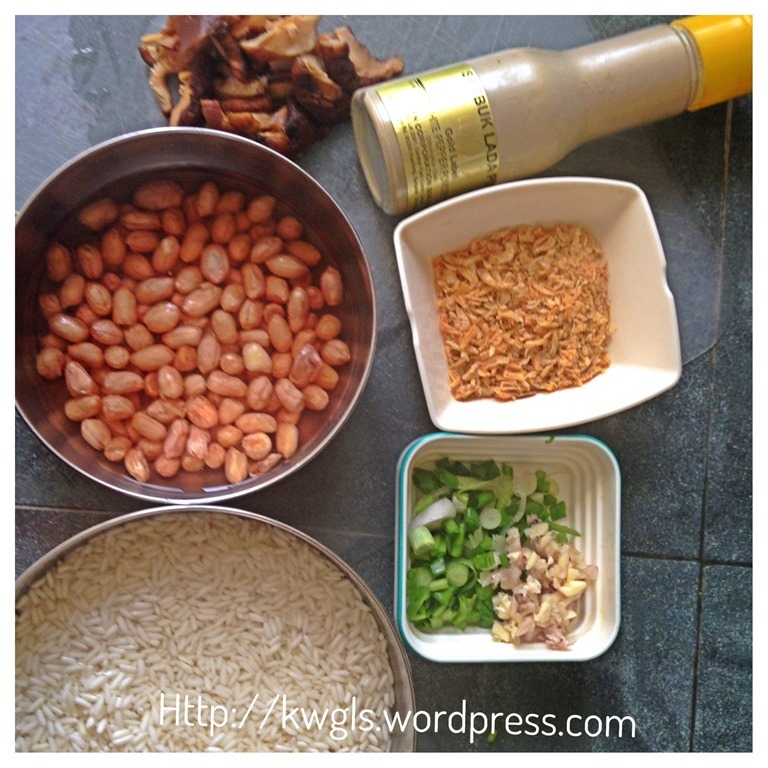 Add the washed glutinous rice and peanuts, stir fry until well combined. Add seasonings and salts to taste. 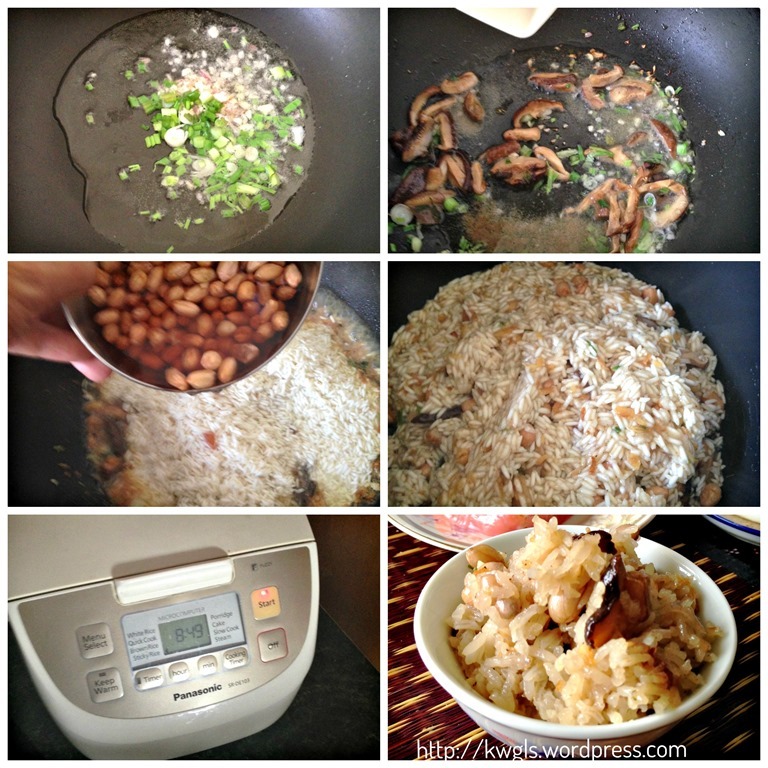 Transfer the rice to the rice cooker. Add about 1 cup of water (It is best that you follow the instruction as per the rice packaging instruction when cooking your rice, but usually, 1 cup of rice will need 1 cup of water). 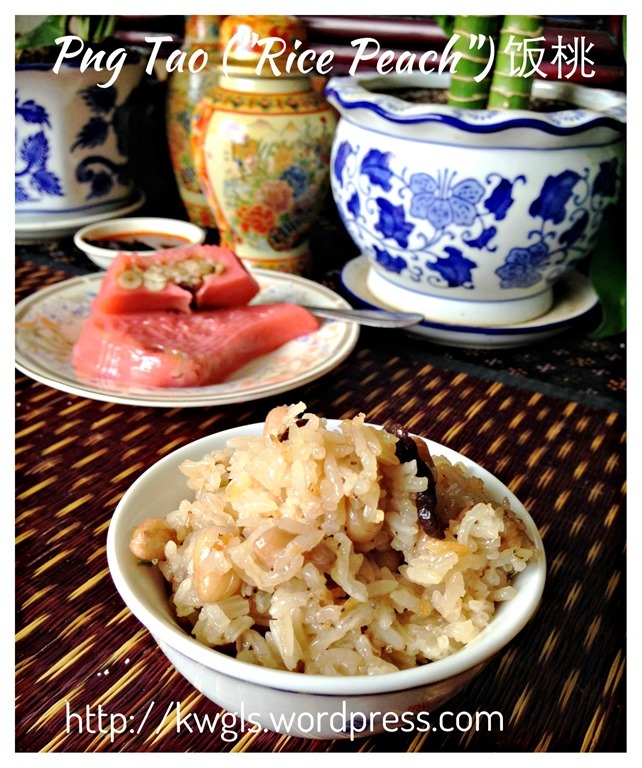 Cook the rice as per rice cooker – sticky rice instruction. Once done, dish out and let it cool at room temperature. Put 1-2 drops of colouring in the hot water. 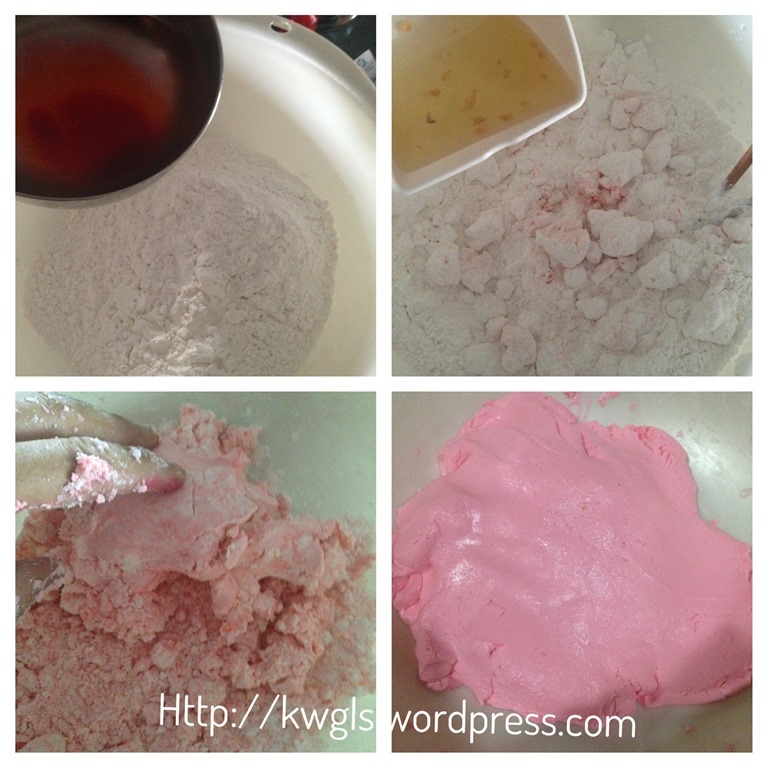 Put all the flours in the big bowl, make a well, and add the coloured water. 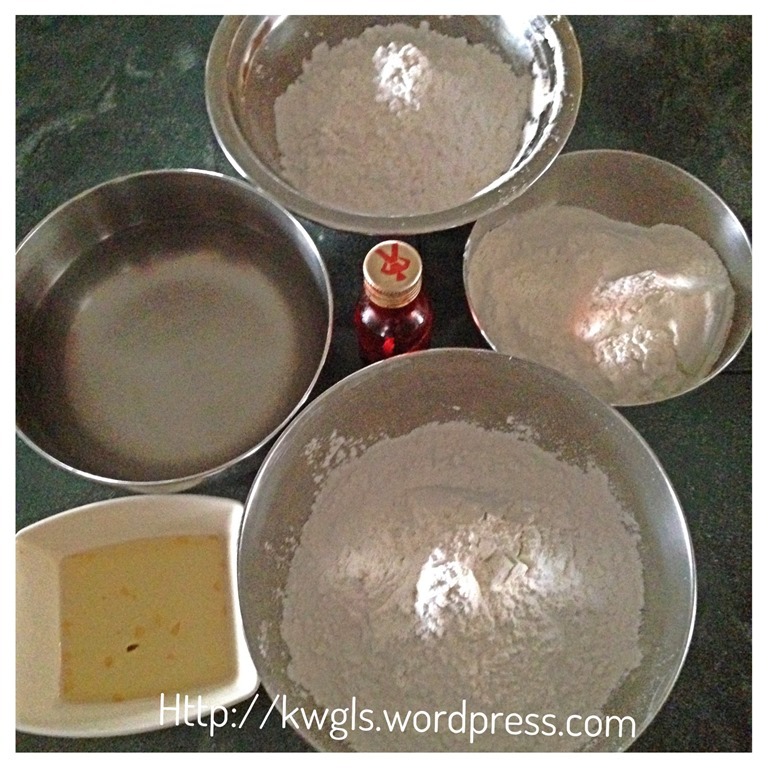 Put in the oil and knead until it form a pliable dough. It is advisable that you add the water gradually. 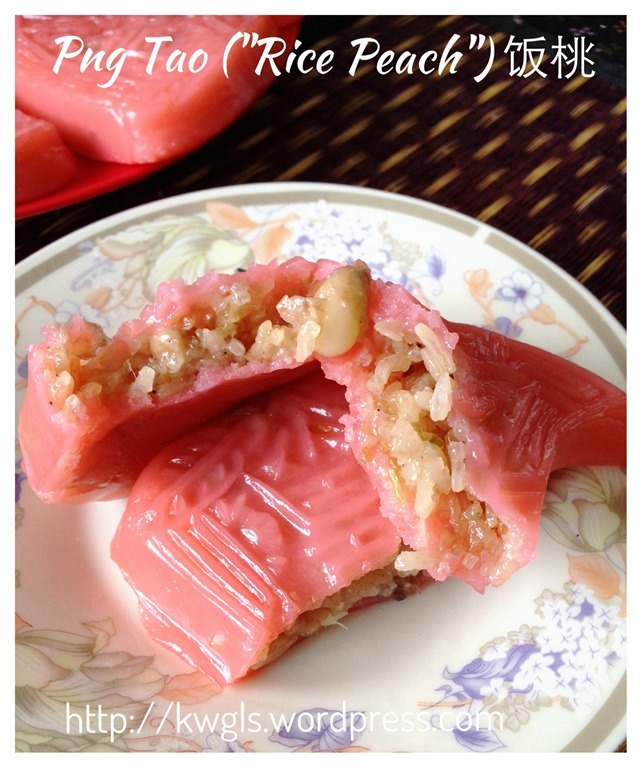 Take some dough, shape it in a ball, put 1-2 tablespoon of cooked glutinous rice, wrapped and put the dough into the greased peach mould. Press down the dough follow the shape of the mould. Knock the mould to get the dough out and put in a steamer tray. 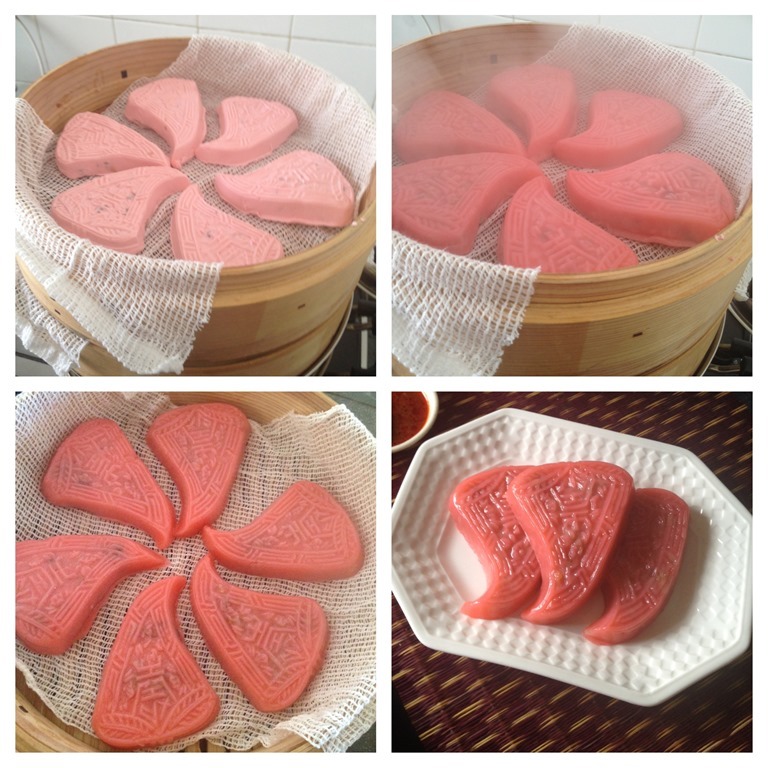 Once all is done, heat up a pot of hot water, steam the rice cake for about 13-15 minutes under high heat. Best served with some chilli sambal or sweet soya sauce. It will turn hard rather easily if you left it overnight, therefore, store in an airtight container is important once it cooled down. 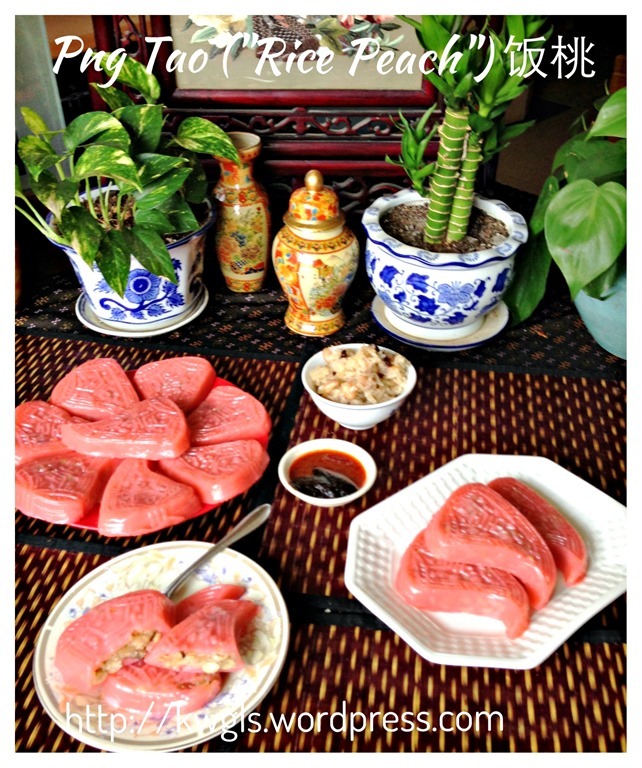 It is also common that the rice cake be pan fried on the next day to get a crispy outer skin. For those who missed this cake, you may want to give it a try. 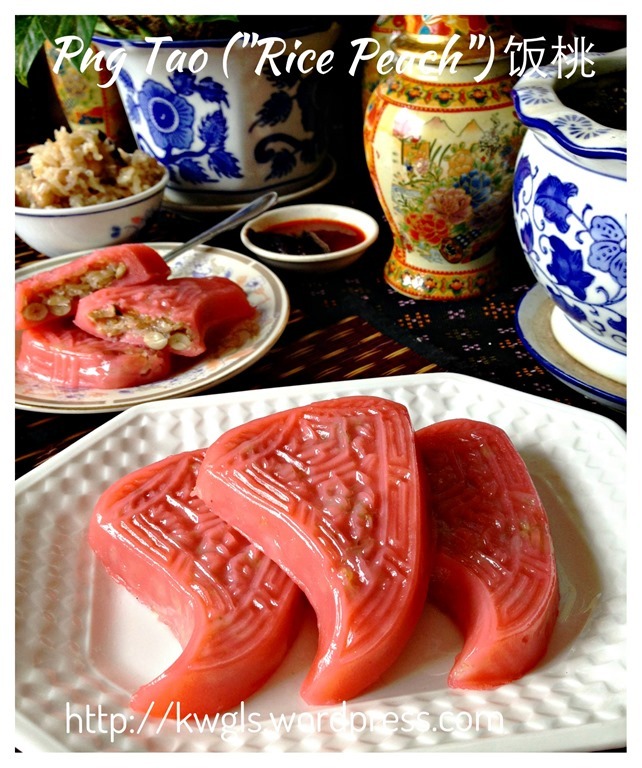 This entry was posted in Chinese and Asian Cakes and Snacks, Food Preparation Series and tagged 饭桃， 米包米， 饭粿， 潮州红桃粿, GUAI SHU SHU, Guaishushu, kenneth goh, Png Tao, postaday. Bookmark the permalink. will the skin become hard to chew when it become cold?